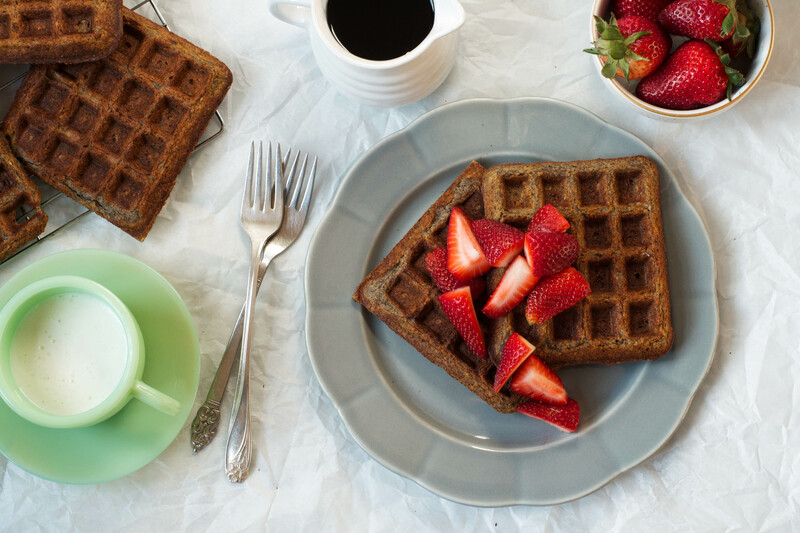 These homemade gluten-free buckwheat waffles have a crisp exterior and fluffy interior. 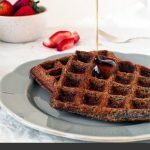 Made without any refined sugar, these healthy waffles are just lightly sweetened with a bit of maple syrup. Are you a waffle or pancake kind of person? I consider myself an 80/20 girl. 80 percent of the time I’ll choose waffles over pancakes, but can be convinced if the pancakes are a little different, like these Sweet Corn Pancakes, or if they’re hearty and made with whole grains. I’m a lover of Zoe Nathan’s Brown Rice Quinoa Pancakes from her book, Huckleberry. But waffles, how can you not like waffles? I don’t think I’ve met a waffle I don’t like. Except for maybe the waffles served at a hotel continental breakfast, they just lack oomph, ya know? With perfectly-designed divots for luxurious syrup, I believe waffles must have a crispy exterior (gotta cook them long enough) and a tender interior. 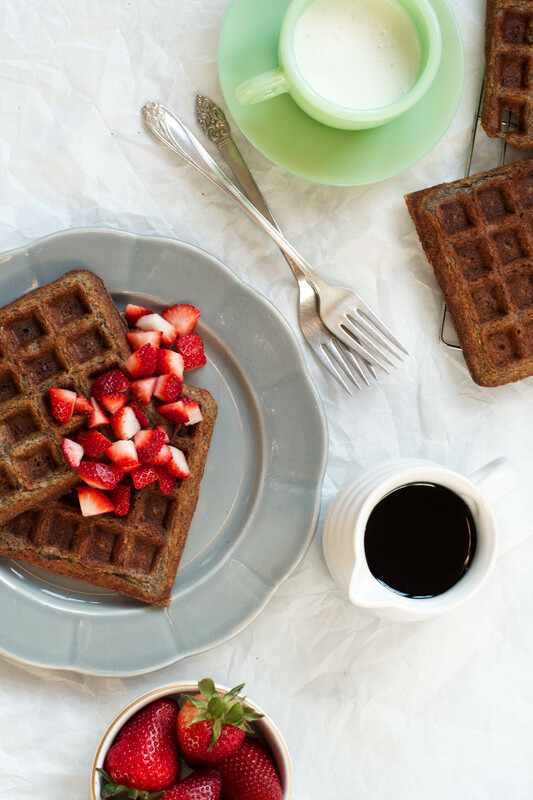 These 30-minute Gluten-Free Buckwheat Waffles fit the bill, and more. Made with buckwheat flour, oats, and flax seed, they’re not only quick to make, but gluten-free, and packed with whole grains, fiber, and protein. They take a little longer to cook, but patience is key for achieving that crisp exterior. 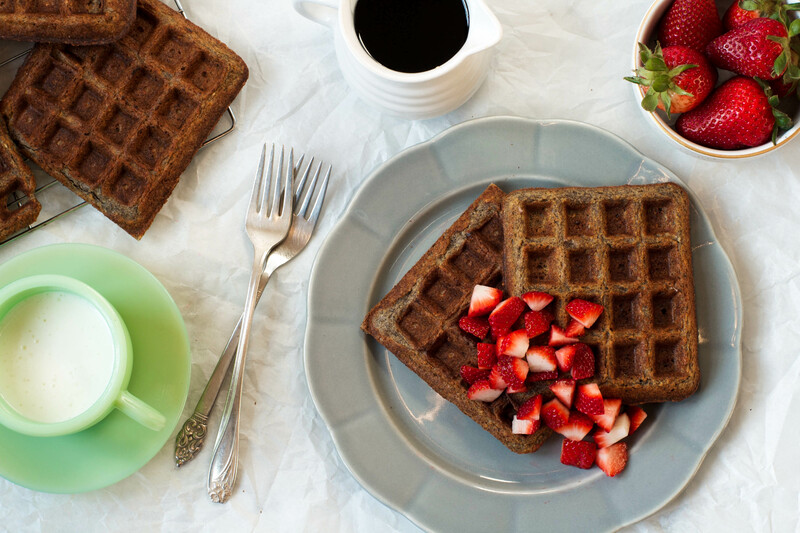 Can you make buckwheat waffles without eggs? Although my recipe relies on eggs for structure, you could swap in a flax of chia egg for the whole egg and egg white. Just keep in mind the waffles won’t be as crisp. 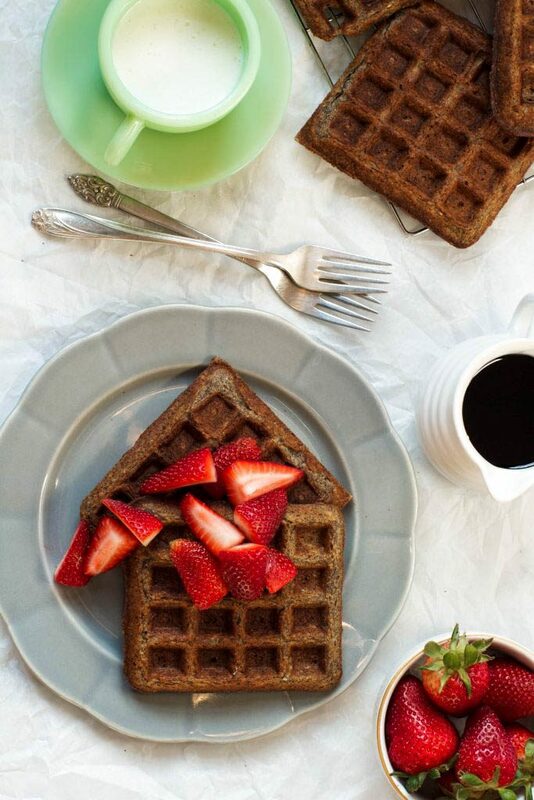 How do you serve buckwheat waffles? 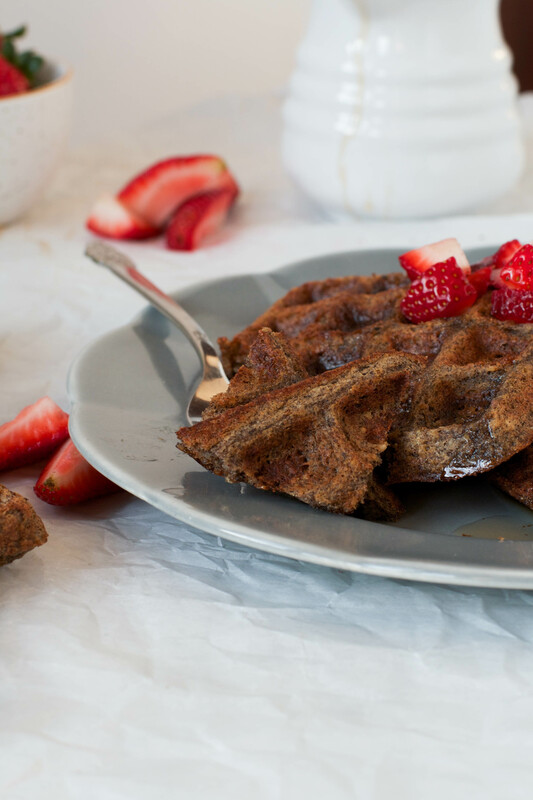 I like to serve these Buckwheat Waffles with pure maple syrup (don’t even mess with that fake stuff), fresh strawberries, and a drizzle of tahini or almond butter. 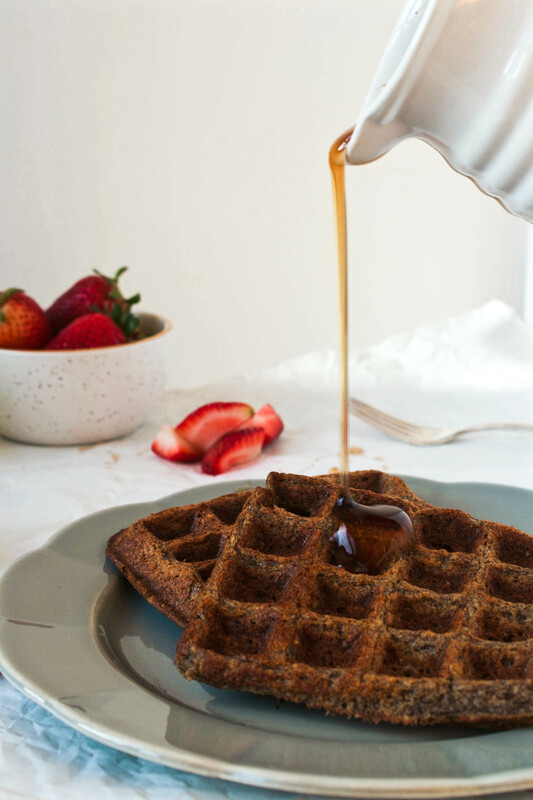 These waffles would also be great with this Blueberry Maple Syrup, strawberry jam, or a drizzle of sweetened yogurt. 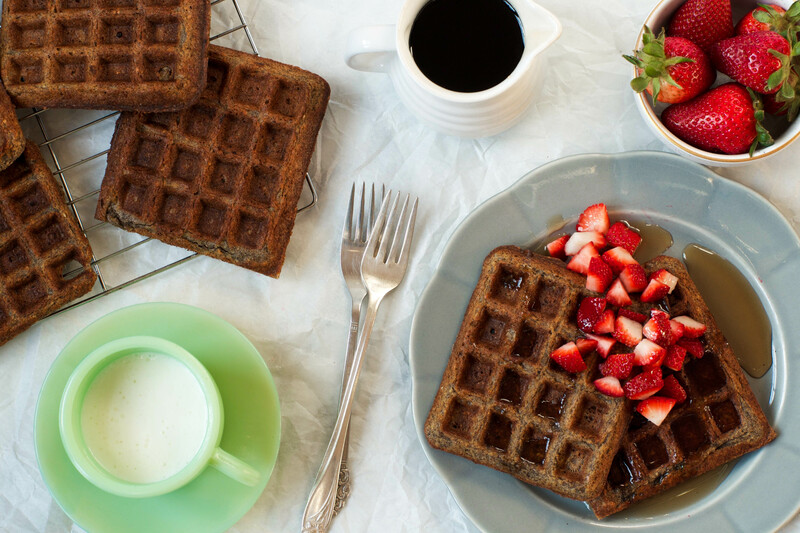 These buckwheat waffles are! 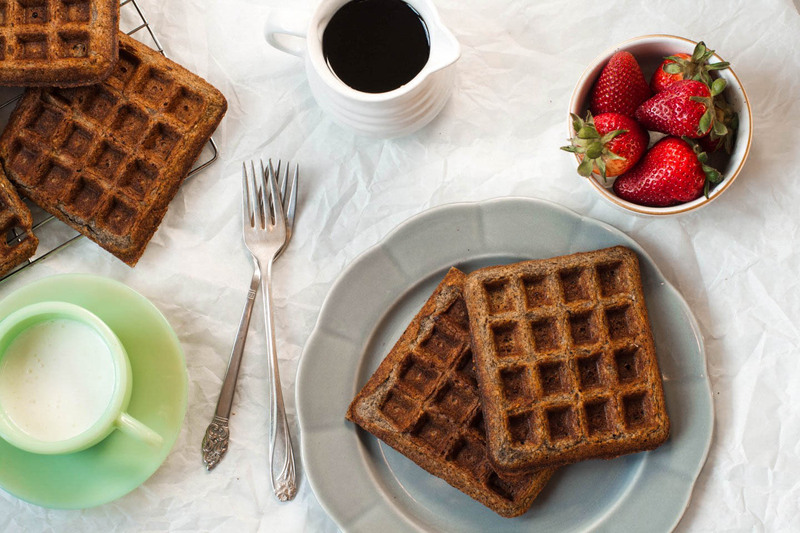 These gluten-free waffles are made with whole-grain oat flour and buckwheat flour (which adds a healthy amount of fiber). They’re also free of refined sugar, using just 2 tablespoons of pure maple syrup for sweetness. Then buttermilk (which is naturally low-fat) creates a tender waffle while an egg and an egg white offer structure and protein. Heat a waffle iron to high, according to manufacturer’s instructions. Whisk together buckwheat flour, oat flour, ground flaxseed, baking powder, baking soda, cinnamon, salt, cardamom (if using), and nutmeg in a large bowl. In a separate bowl, whisk together buttermilk, egg, egg white, coconut oil, maple syrup, and vanilla; stir into flour mixture just until combined. Let sit 5 minutes. Ladle about a third of a cup of batter onto each waffle section, close iron and cook until waffles are crispy. This will take about double the time of most waffle recipes, I found 10 minutes to be perfect. Start checking at about 6 minutes, as waffle irons vary. Repeat with remaining batter. Serve with fresh strawberries and pure maple syrup, or desired toppings. To make oat flour, process old-fashioned rolled oats in a food processor until a fine meal is formed. If needed, make sure the oats are certified gluten free. The amount of oats you use yields the same amount of flour, so you’ll need ½ cup oats for this. I like to grind a few cups at a time and store the remaining for future use, it saves time down the road! 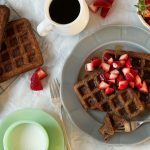 These waffles keep in an airtight container in the refrigerator for 3–4 days, or in the freezer for up to a couple of months. Pop them in the toaster as needed, they crisp up like a dream! In other news, Greg and I are preparing to take over the keys to a house this coming week. Let the renovations begin! If you’re interested, follow along on Instagram to see what we’re up to. These look fantastic & I cannot wait to give them a try! 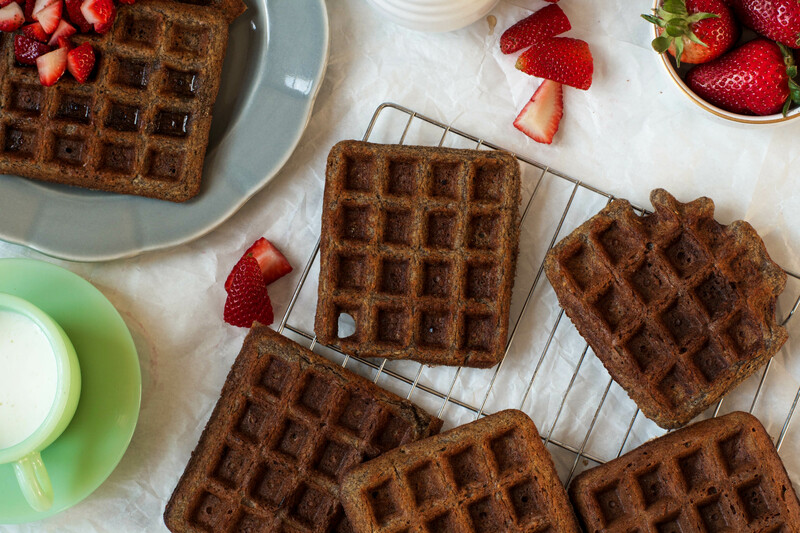 Time to dust off the waffle iron! Yum! These waffles look awesome. I’m usually a pancake girl, mostly because they are so easy to whip together. But, if I’m out for breakfast or in the mood to cook, then I prefer waffles. Can’t wait to give these a try! I totally get your you way of thought Alex! Thanks! 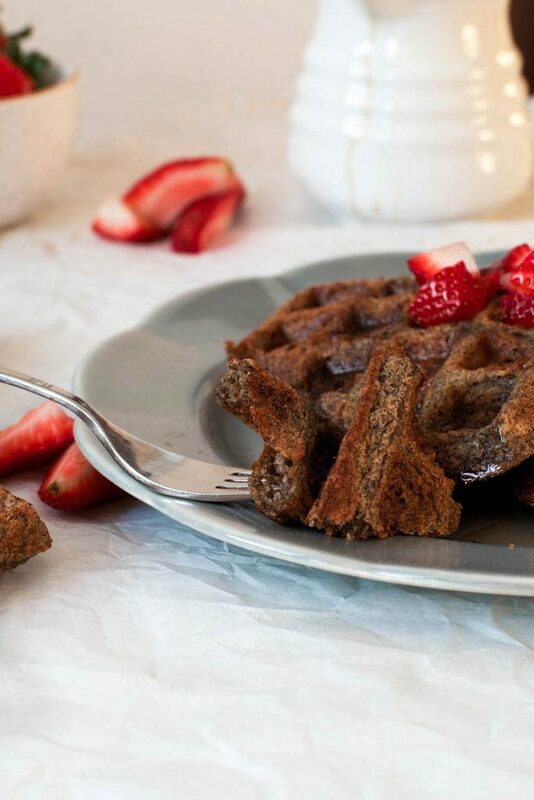 Best of all, these waffles are gluten free, which means that I can share them with all of my friends! Wow, these are amazing! We loved them for Saturday brunch!